Well, even back in the days of Destiny's Child, she was someone that I judged. While I could not deny her star power and her talent, I saw her as an attention hog, stealing the spotlight from her group members. I didn't hate her for it, but I side-eyed her a lot. Nevermind that, of course, it had absolutely nothing to do with me and my life whatsoever. And nevermind that I still only saw Destiny's Child as "just" a girl pop group. While they were better than other girl pop groups, I still looked down at them as I favored rock bands and arty experimentalists (which, one should note, consist mainly of white men). Beyonce was fine to dance to at prom or whatever, but she was still just a pop star, and no respectable musician (I played bass guitar) actually considered mainstream pop to be art, right? I'm not sure when exactly the change happened. I started reading more blogs and thinkpieces about feminism, about racism, and about intersectionality. Issues and questions that I'd never considered started moving to the forefront of my mind. Discussions of cultural appropriation in pop culture, colorism, racial fetishization, etc., were suddenly all over my radar. Stories of black people being gunned down by police were popping up constantly. (Still are. It hasn't stopped, obviously.) There wasn't any one thing I saw or read that flipped the switch for me. It was like the breezy current of social justice and equality that I had been riding in my adulthood had gradually turned into a gale-force wind, and there was nothing else to do but to let it sweep me away. Once your mind has been opened to the injustices of the world, and you let yourself care and empathize, it is impossible to close those doors again. What is seen cannot be unseen. Amidst a giant sea of (notably, white) starlets in the media saying that they didn't consider themselves feminists because "I actually like men, though!" (remember when it was de rigeur to bait female celebrities with that question and then watch them face the ire of social media if they gave the wrong answer?? 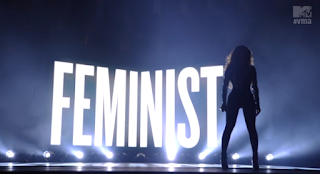 Oh, right, that still happens), here was a black woman standing up and unequivocally declaring herself a feminist. She wasn't doing it for me, but it made me sit up and take notice anyway. She wasn't trying to win me over, but she got me anyway. 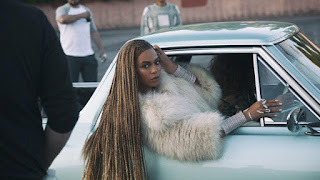 I haven't become a superfan and delved into her discography (I still feel like I've heard "Single Ladies" enough times to last me the rest of my life), but I liked Beyonce (the album) and even as a casual observer, I could tell how different it was from some of her previous work. The more I read about her, the more thinkpieces I found that discussed and defended her (and black women, and black people) the more I was convinced of how wrong, wrong, WRONG I had been my entire life. I am ashamed of the beliefs I used to hold, the harsh, unforgiving criticism that I leveled at an entire race that I didn't apply to my own, or to white people. However, shame can be self-indulgent. Feeling sorry for yourself is unproductive. I found myself trying to walk that delicate line of speaking up more about gender and race, without speaking over or on behalf of others. (I still struggle with that. I don't always get it right.) I have worked really hard to change the way I think, to open my eyes and pay attention, and while my journey is nowhere near complete, I feel like a different person. And I'm not going to lie - I could hear that pre-programmed, conditioned part of me flashing an alert in the corner of my brain, but New Me said, "No. Stop. Look at this again." And what I saw was something completely different. The video for "7/11" is fun, celebratory, cheeky, and completely not for me, but I appreciated it anyway. New Me loved it, because New Me decided to consciously override the old me and take a second look. Not just with Beyonce but also with Rihanna and Nicki Minaj. And other black artists. And also black culture in general. I may not understand it, and I may not be able to relate to it, but I can respect it and admire it. Lemonade is not for me. Beyonce did not make that album and film with people like me in mind, and I understand that much. And I support it. It was not meant for me, but I will defend it to the death, as a work of art, as a personal and political statement, as whatever it is. Even though I am standing on the outside looking in, what I see is something beautiful, powerful, and incredibly moving, and even with my limited understanding of the world she is showing us all, I still felt my breath being taken away. My commentary on Lemonade does not matter, and I am fine with that. But let me express that I loved it all the same. 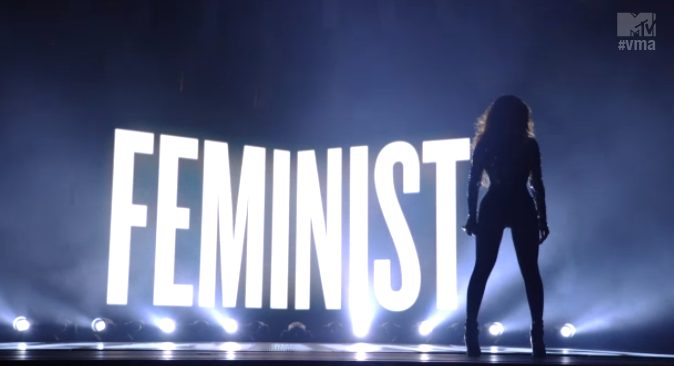 I don't think I deserve to call myself a member of the Beyhive, but I definitely now consider myself a believer. I believe that Beyonce is #queen. 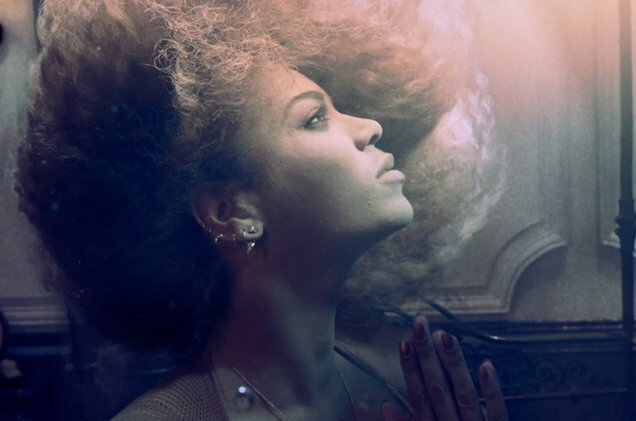 Beyonce doesn't need me, and she doesn't need my apologies, but I'm offering them all the same. Not because I'm looking for kudos or applause or anything like that, but because, well, I am sorry. Because when you wrong someone, the very least you can do is to apologize and to learn from it. I was wrong about you, Beyonce. And I'm sorry.